On an unsanctioned mission, Bond tracks down and kills hitman Marco Sciarra (Alessandro Cremona) in Mexico City. 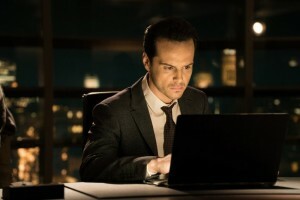 The incident attracts international attention and earns the ire of the already aggravated M (Ralph Fiennes), locked in a power struggle with Joint Intelligence Service head C (Andrew Scott), who wants to close down the ’00’ section. 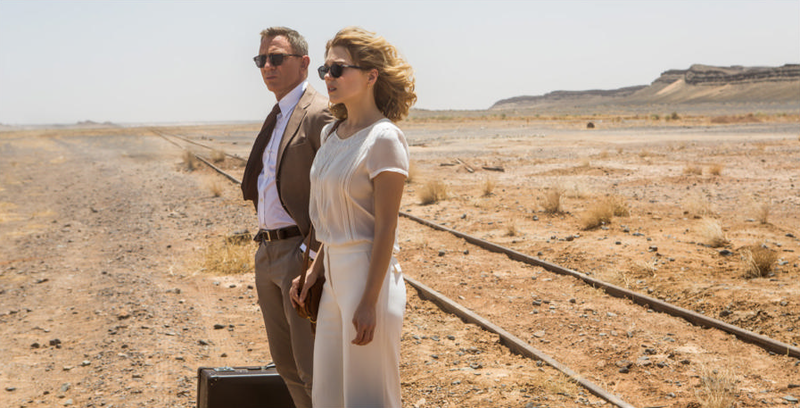 Though grounded, Bond’s mission is far from over, and he enlists both Moneypenny (Naomie Harris) and Q (Ben Whishaw) to aid him. With his only lead being Sciarra’s octopus-inscribed ring, he heads to Italy to attend the recently deceased’s funeral and find more answers. 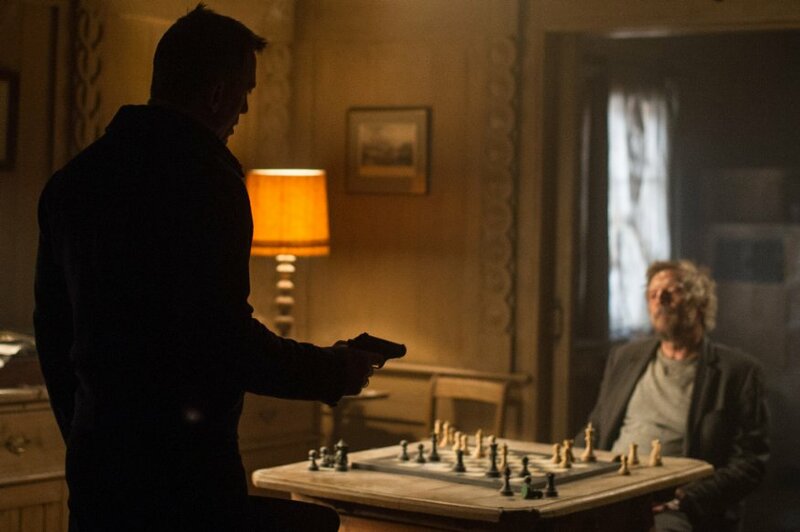 There, he encounters a sinister organization named Spectre and its leader Franz Oberhauser (Christoph Waltz), a dark figure from his own past. 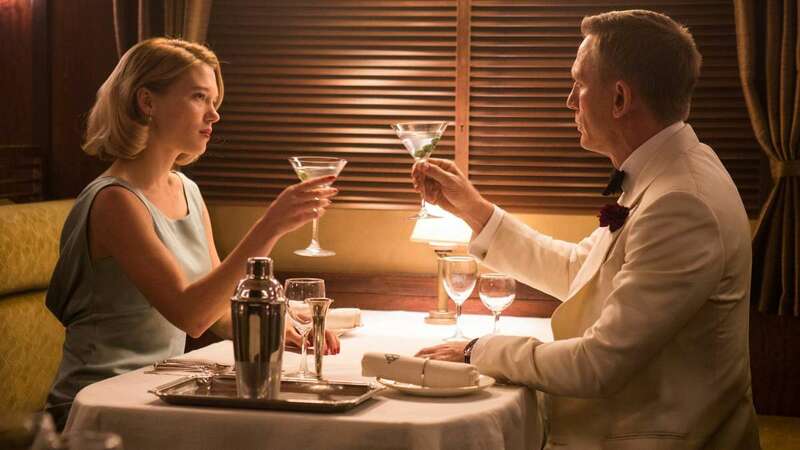 Pursued by assassin Mr. Hinx (Dave Bautista), Bond can only follow a series of clues and tips, which lead him to Dr. Madeleine Swann (Léa Seydoux), a former adversary’s daughter who may have further information about Spectre. The best characteristic about Craig’s previous Bond films is how they delve into their key characters, whether it be Bond himself, his friends, or his foes. These films peel away the mysteries and questions behind the characters so that they become more engaging and human, and doing that means utilizing the characters well, which pertains to both their roles in the story and their relationships to one another. The choices that Bond makes over the course of Casino Royale and Quantum of Solace, based on his own recklessness and Vesper Lynd’s profound influence on him, supply a rich arc and make him such a compelling character. Skyfall is a brilliant deconstruction of the previous M (arguably that film’s Bond girl), as it explores her relationship with Silva, who acts as a foil to Bond. Clearly, there is a highly successful character blueprint running through these Craig films, and it seems natural for Spectre to follow suit. Unfortunately, the 24th Bond film hardly gets none of its essential characters right and fails to sell the dynamics that matter. Right from the start, Bond comes across as being more machine than man, and he stays that way. He barely develops any further from the man he was at the end of Skyfall, so what we’re left with is someone who’s just going through the motions. Swann, the main Bond girl, appears to fare better at first. She has a fascinating backstory since she’s the daughter of an assassin, and she’s also a confident young woman who can stand her ground against the agent. However, it isn’t too long before she devolves into the conventional Bond girl who needs to be either led around or saved by the hero. This relationship between Bond and Swann fails to convince, especially when the story tries to take it to a level beyond a passionate night spent together. It’s impossible to accept, given that only a short passage of time has elapsed and the characters don’t see each other as someone to fall for, with Swann even coming across as a hypocrite. Theirs really is a forced love story, and the emotional beats land with hollow, laughable thuds. For a story as grand as this, it’s actually quite dull, boring even. The film is devoid of stakes because honestly, I have no emotional investment whatsoever in any of the characters or their relationships. 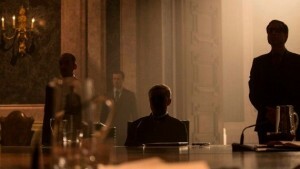 It doesn’t matter if Bond or one of his allies is on the verge of certain death; there is no point, no tension, no urgency since every character here may as well be the equivalent of an empty vessel. To make matters worse, the story’s ambitious plan to bring the Craig films full circle falls flat on its face. The idea here is that Oberhauser – whom I’ll address shortly – orchestrated the actions of Le Chiffre in Casino Royale, Quantum in Quantum of Solace, and Silva in Skyfall. It sounds pretty damn cool, and the film constantly pounds it into my mind by having characters drop certain words and bringing back some familiar faces. What’s the issue, then? That’s it. This bold, sweeping plan comes and goes in the blink of an eye, in the articulation of a few lines, with no effort to extravagantly link everything together. Talk about underwhelming. Don’t even get me started about the side conflict going on between M and C, which proves to be utterly predictable. All this begs the question of what exactly is the story concerned with. Well, it really wants to get to the action and make nods to other films in the franchise, with a train sequence hearkening back to From Russia with Love and Mr. Hinx being an obvious throwback to Oddjob and Jaws. That’s the film for you: a setpiece-driven movie that winks at its legacy. As bad as the film’s treatment of characters and story sins are, they do not compare with the fact that it neuters both its villain and the franchise’s iconic organization. There’s a single moment well into the film when Oberhauser’s connection to Bond is revealed, as well as his motive for all his dastardly acts. That motive – which I won’t give away – completely undermines his character and renders him petty. To add insult to injury, a revelation regarding Oberhauser emerges, which carries no weight whatsoever. Christoph Waltz is absolutely wasted here, and he doesn’t stand a chance at saving what is basically an adulterated villain. 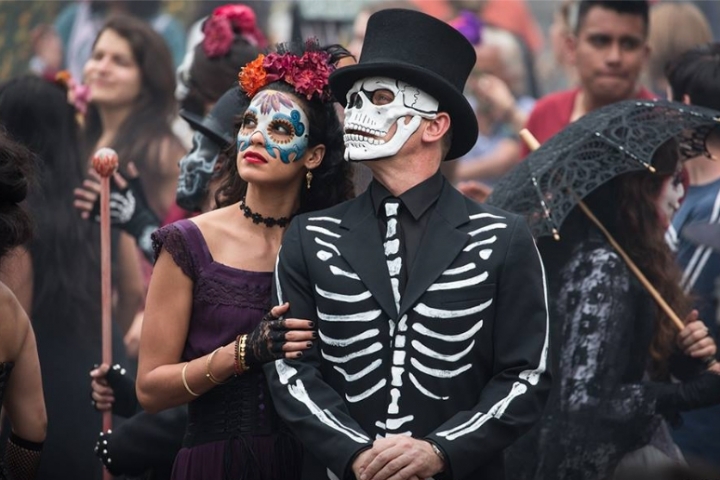 As for Spectre itself, it is cartoonish at best because not once is it menacing. Yes, the film does mention the incidents that the organization is behind, but never do we see them do anything beyond have a board meeting. Not once do we get a sense of its evil and power, much less see it. Director Sam Mendes – who directed Skyfall – seems to think that shrouding Oberhauser and the other Spectre heads in shadow would imply menace. It doesn’t. It actually makes them hilarious. The thought that under Oberhauser, this Spectre was responsible for everything that happened in the last three films is a bitter pill to swallow. With the story not giving a damn about its characters, the cast have very little to work with, which is discouraging since it’s chock full of talented actors and actresses. Craig doesn’t have juicy material to sink his teeth into this time around, and he comes across as rather stiff and even disinterested. Seydoux initially combines Swann’s gentle nature with a stamp of authority well, but she runs out of steam later on as her character takes a turn for the worse. Of the returning cast from Skyfall, only Whishaw is given an opportunity to shine, and he seizes it to make Q quite humorous. 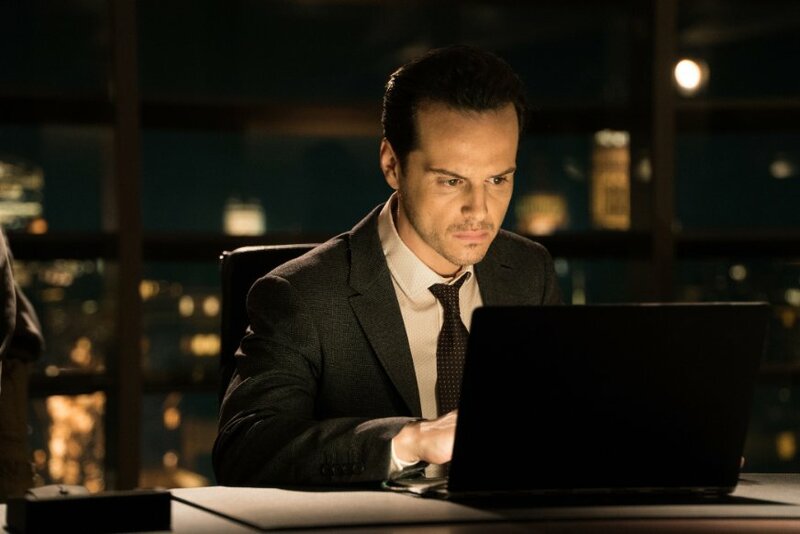 Scott, best known for playing Jim Moriarty in Sherlock, effortlessly brings out the sleazy personality of C well, but really, he’s playing Moriarty 0.5 – a waste of his talent. 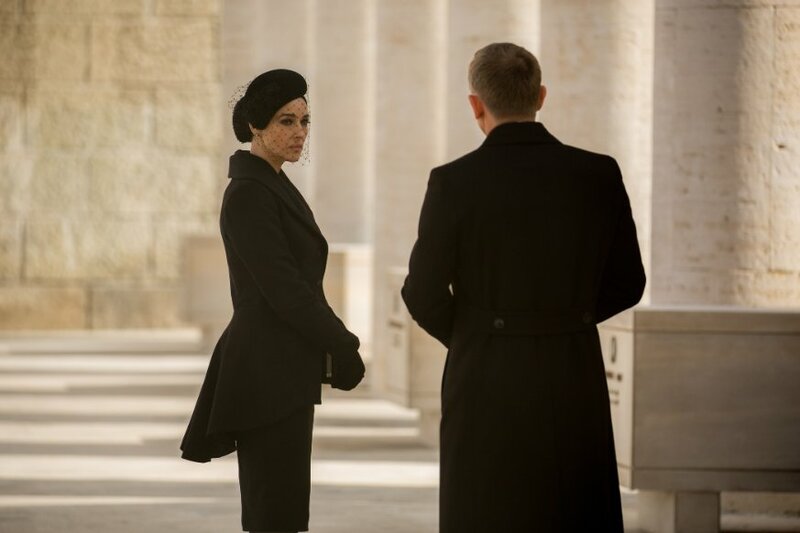 Also wasted is the famed Monica Bellucci, who has less than ten minutes of screentime as Lucia Sciarra – wife of slain hitman Marco – and is relegated to being seduced by Bond. Funnily enough, the only cast member who fulfills his character to a T is Bautista, as he has only one line of dialogue and spends his time being physically imposing, which is all we need to know about Mr. Hinx. 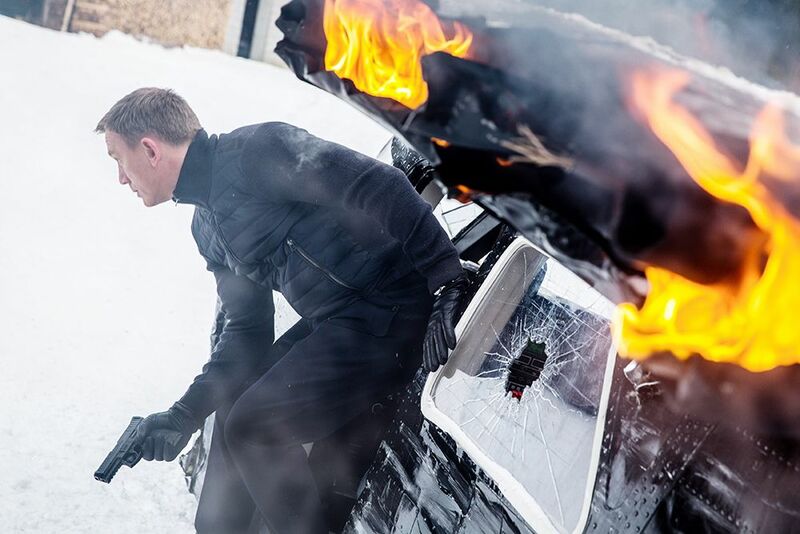 As Mendes returns to direct (and thereby being only the second filmmaker to helm consecutive Bond films), he has also recruited an experienced crew consisting of Skyfall returners as well as newcomers. Previous collaborators include production designer Dennis Gassner, costume designer Jany Temime, special effects supervisor Chris Corbould, stunt coordinator Gary Powell, and composer Thomas Newman, whereas cinematographer Hoyte van Hoytema and editor Lee Smith enter the world of Bond for the first time. As far as the crew’s collective work goes, it’s a fairly mixed bag. Gassner brings us to some beautiful and breathtaking locations, and his selection of interiors allow for some atmospheric, brooding moments to take root. Temime dresses up the cast quite nicely with some eye-popping costumes other than the usual slick suits. The work of Corbould and Powell certainly result in some explosive (literally), kinetic sequences, but they are sadly and ultimately undermined by the story’s lack of stakes. Newman’s score has some really nice tracks, but he’s guilty of recycling too much of his Skyfall work, especially during the film’s biggest moments. Van Hoytema captures some arresting and stunning images, but his framing of action sequences makes me miss Roger Deakins’ stationary and theatrical eye from Skyfall. 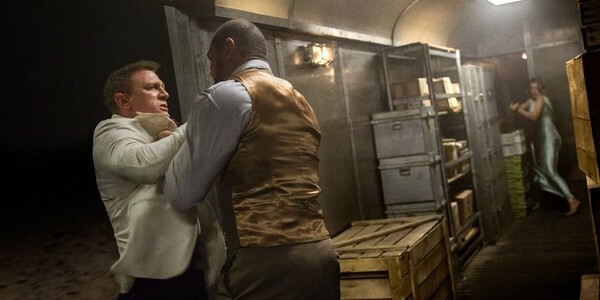 While Smith deserves kudos for balancing Bond’s journey with M’s struggle against C, he doesn’t do himself favors by rushing through the film’s key emotional beats. No Bond film is complete without its title sequence, and this film has a solid, if not unspectacular, one. Sam Smith has the unenviable task of following up Adele, but he tries to show that he is up for the task with the song “Writing’s on the Wall.” Admittedly, I wasn’t a fan of it when I first heard it, but it has grown on me. The instrumentals are killer and have a very Bond “feel” to it, but I still can’t buy Smith’s falsetto. As for the title sequence itself, it’s quite moody and appropriately makes extensive use of an octopus. I’d say that it’s decidedly a marked improvement over the one for both Quantum of Solace and Skyfall, but still nowhere near the Casino Royale one, which still stands as the best in the franchise. 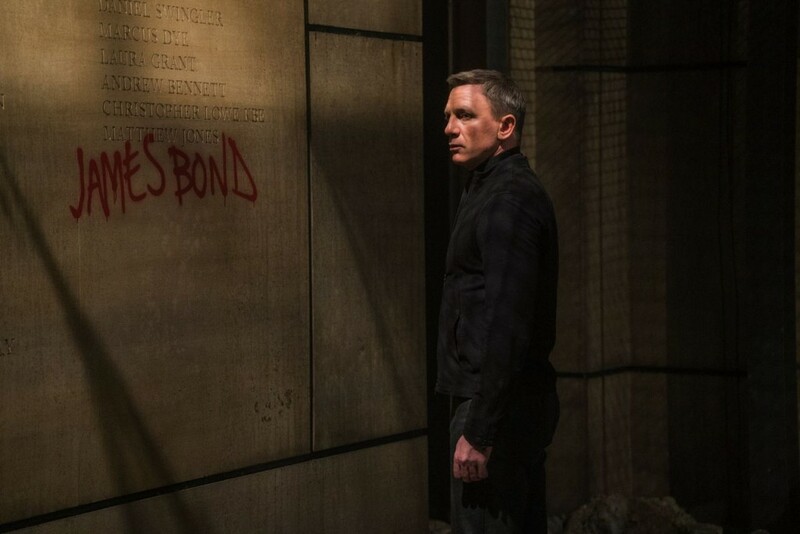 If Spectre actually marks the end of Craig’s run as Bond, then color me genuinely upset. To see his films tread new ground in terms of character and story, only for this one to disregard all that, is truly a fall from grace. Exacerbating this even further is how the film falls short in so many ways, so it really just screams disaster. After establishing his identity and being able to stride confidently wherever he goes, Bond now feels like a drifter, battered and unsure where to go for his future.